Next time you go to the Dollar Store check around for some plain yellow paper or plastic plates to create this inexpensive and sunny Smiley Face. Cut 2 silver dollar size circles from black construction paper for the eyes. Cut out a 2 1/2 inch smiley face mouth or alternately another circle. Cut 10 pieces of yarn each 3 inches long. Line up 9 of them, use the tenth to tie them together in the middle for the hair. Alternately use 9 6-inch pieces of yarn, then braid them together to make a girl. Glue on the eyes and the mouth. Then glue the hair on and let dry. This makes an excellent activity for groups of children if the cutting is done beforehand. 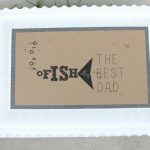 This craft is reprinted courtesy of ThriftyFun where you will find inexpensive craft projects and tips. This is a cute idea, but I’m not understanding the way to make braided yarn hair for the girl? This was a craft from one of our contributors but I would guess that you attach the same way but braid three strands of yarn on each side to form the braid. I would suggest a pretty bow int the middle would also be cute.